Modernising regulation and policy reform will be crucial to boosting Nigeria’s digital economy and accelerating internet access for millions through increased mobile broadband penetration, according to a new report released by the GSMA. The report, “Spotlight on Nigeria: Delivering a Digital Future”, was launched at a GSMA industry event held in conjunction with the Nigerian Communications Commission (NCC). The event brought together leaders from across the mobile industry with policymakers to discuss future regulation and how to enable the next-generation of 5G connectivity. “In the world we live in today, mobile communication is a cardinal tool of economic development, growth and integration, and the mobile industry is a key enabler of productivity across economies and societies,” said Prof. Umar Garba Danbatta, the Executive Vice Chairman and Chief Executive Office (EVC/CEO), NCC. GSMA research shows that the mobile market in Nigeria makes an important contribution to the economy. The mobile industry contributed $21 billion to GDP in 2017, representing 5.5% of Nigeria’s total GDP. In addition, the growth of Nigeria’s digital economy resulted in the creation of nearly 500,000 direct and indirect jobs. Growth in the adoption of digital services by government, businesses and consumers is having a positive impact on daily life in Nigeria. For the majority of Nigerians, mobile broadband is the first and only technology for accessing the internet, enabling better access to health, education and commercial opportunities, amongst other public services. Smartphone adoption has already risen to over 53 million connections, and 49% of the population are currently connected by mobile technology, compared to less than 1% who have a fixed-line connection. 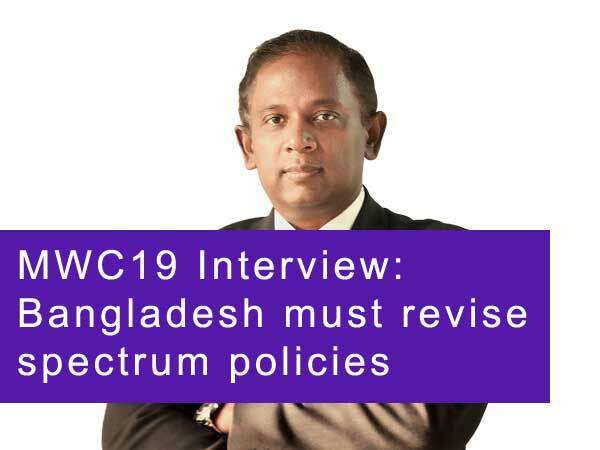 With increased spectrum harmonisation and licensing reform, the country’s mobile penetration is forecast to rise to 55% of the population by 2025, with 70% having 3G connectivity and 17% having access to 4G networks. Currently, only 44% of mobile subscribers in Nigeria are using 3G technology and 4% are using 4G technology, compared to over 18% 4G penetration in South Africa and 16% in Angola.